ACR Carpets are based in East Hunsbury, Northampton and have provided new carpets to many homes in East Hunsbury, West Hunsbury, Wootton, Wootton Fields and Grange Park. At ACR we offer you such a wide choice of styles, colours and designs that we believe we will find you the perfect carpet. With our available carpets you could choose a plain or patterned carpet, neutral shades or bold colours, you tell us what you are after and we will find it. A large selection of carpets are now available in 4 metre and 5 metre widths meaning no joins in most rooms leaving a perfect finish to your room. At ACR we believe people should be able to choose in the comfort of their own home without a salesman trying to sell them the most expensive carpet. Our company is like a ‘mobile carpet shop’ in Northampton. When we measure a clients property we try to obtain as much information before we visit as to what type, colour and style of carpet is required. This way we can bring the most relevant samples to you. By bringing the samples to your home, you are able to see exactly how they will fit in with your colour schemes and furniture. If you choose a carpet from a showroom the artificial light can make the carpet look completly different and many times customers have been left disappointed by choosing the wrong carpet this way. 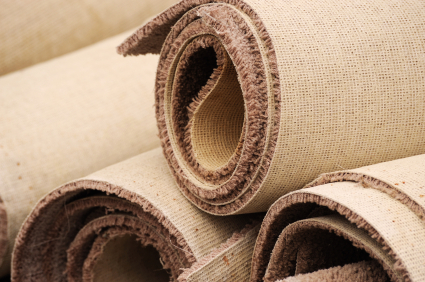 ACR Carpets can also supply and fit your new underlay, we have access to all the leading brands including Cloud 9 and Tredaire. Samples of rubber underlay and foam underlay are available for you to choose which is the most suitable for you. Will only use ACR Carpets in future! We’ve used ACR Carpets for many years now simply because they are the best. Alistair’s approach and professionalism shine above anyone else we’ve ever used to fit our carpets or lay our laminate flooring. We highly recommend ACR Carpets to anyone who is looking for a flooring specialist with very reasonable rates and more importantly an impeccable service. 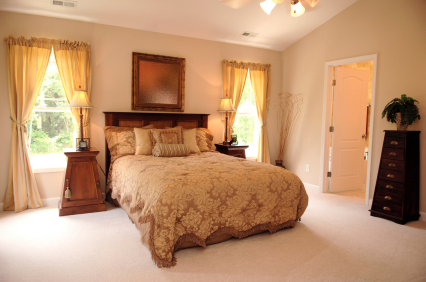 We've used ACR for several carpeting jobs in our home over the last year. Alistair's work is first class - quick and tidy, always clears away old carpets and any leftovers, he also always comes when he says - never lets you down. The highest praise we can offer is that we've asked him back twice to carpet other rooms. Alistair was recommended to me and the whole service from beginning to end was excellent. I have never known a company to remove my old carpet leave no mess and Hoover the new carpet. Many big firms could learn a lot from Alistair about customer service. The carpet was excellent quality especially considering the reasonable price.I would not hesitate to use ACR carpets again and I have already recommended them. Not only did Alistair come out late in the evening to help me choose my carpet, the fitting was perect and the customer service follow up was even better. A week after the carpet was fitted, Alistair dropped me a text to check everything was still good with the carpet- which of course it was. I have never had a tradesman follow up to check that i am still happy with their workmanship- goes to show how confident Alistair is that his work will always give complete satisfaction. We've used ACR Carpets for many years now simply because they are the best. Alistair's approach and professionalism shine above anyone else we've ever used to fit our carpets or lay our laminate flooring. We highly recommend ACR Carpets to anyone who is looking for a flooring specialist with very reasonable rates and more importantly an impeccable service.